Natarani Amphitheatre, Darpana Academy of Performing Arts, Usmanpura, Ahmedabad, India 380013. 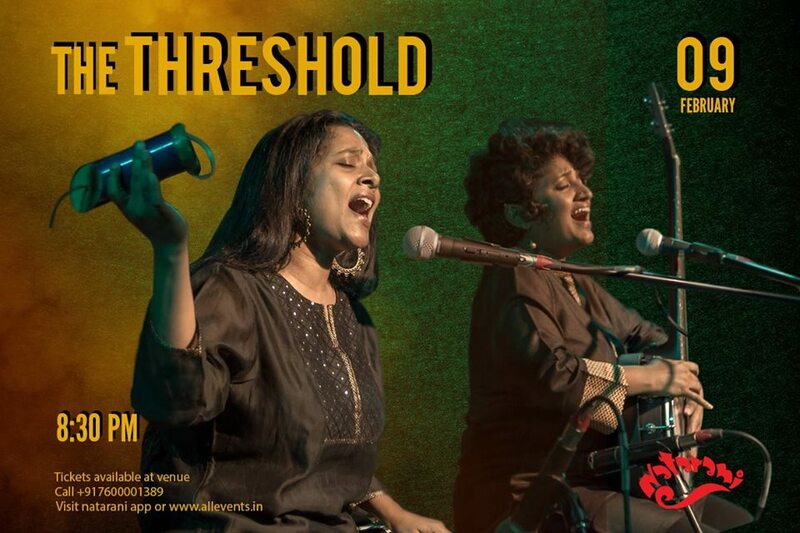 The Threshold is a musical conversation between Pallavi MD and Bindhumalini where they Celebrate the stories of women across continents and generations. Through the stories of Hypatia, Agnodice, Kharbaoucha, Fanny Mendelson and the songs of Lalla, Lingamma, Neelamma, Goggavva, Sule Sunkkavva, Nina Simone and Meera, Pallavi and Bindhu weave a journey of women accentuating their voices with the sounds of the harmonium, Flute, Kazoo, Swarmandal, Udukkai, Bells, Ghungroo, Shakers, Kartal, Melodica, Rainmaker and the Banjo.